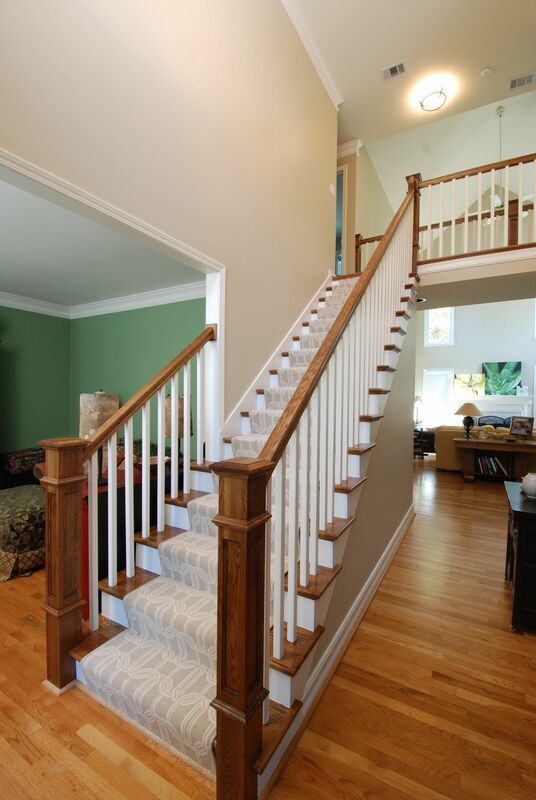 As part of a larger remodeling project, we renovated the staircase for this home. 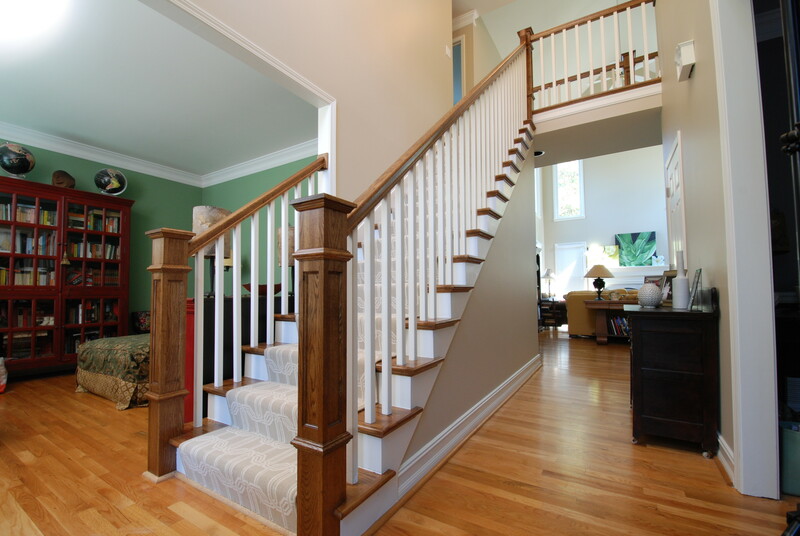 The original handrail installed by the builder wobbled and was not secure. 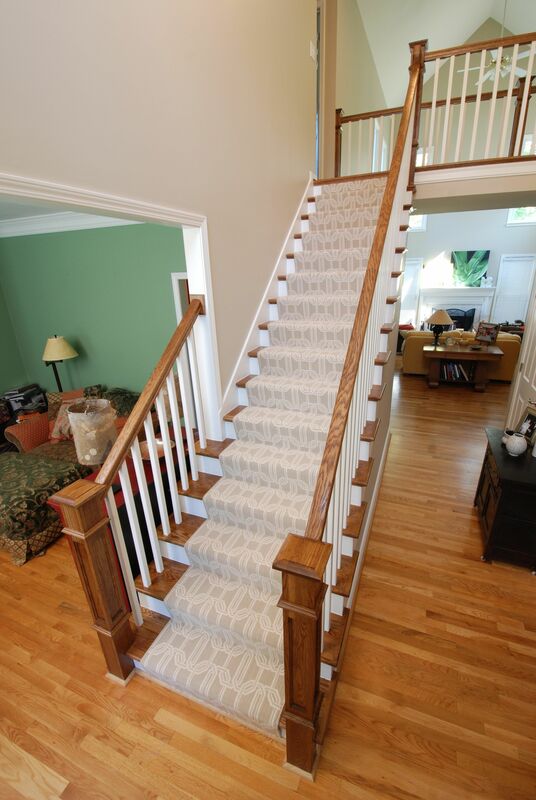 The rail, treads, newel posts, and balusters were all replaced giving the staircase a unique distinctive look that is solid support for our homeowners when they navigate the stairs.